It’s no secret that water is key to weight loss and overall wellness. 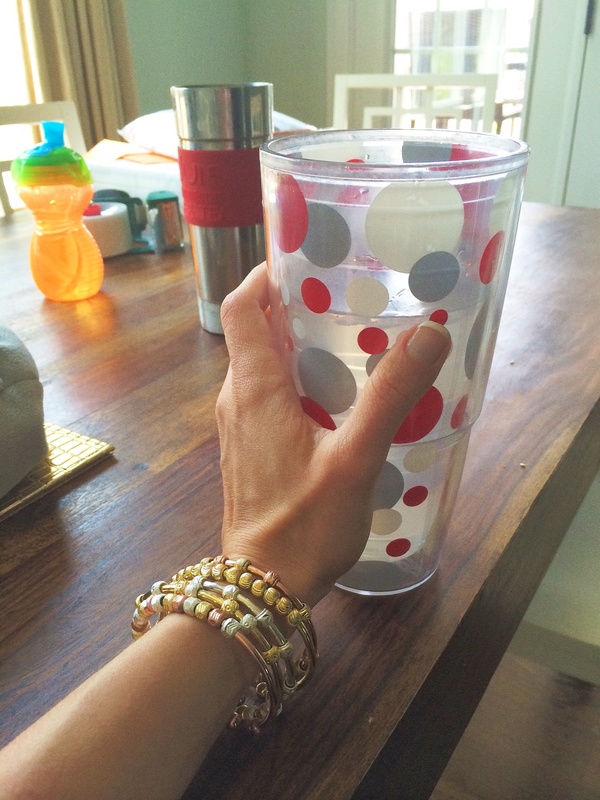 My need to remember to drink more water throughout the day was one of the main reasons I created Count Me Healthy bracelets (for those unfamiliar with my jewelry and how the bracelets work, learn here). I’m a big believer in attempting to make things as efficient as possible because if I didn’t, I would just get overwhelmed and get nothing done. Starting new eating habits? Have the food available. New workout routine? You need to have your gear and shoes ready. Same holds true when making daily water consumption a priority. Get a My Cup is the simple act of deeming a certain cup, “My Cup” and taking that cup everywhere with you. My Cup runs errands with me, hits the gym in the cup holder of the treadmill, chills on my desk while I work and even keeps watch on my nightstand while I sleep. My Tervis tumblr has really become a part of me. Tervis makes great cups to take everywhere because they are insulated for hot and cold beverages, dishwasher safe, heavy duty (I’ve dropped it more than a few times) yet light. Aside from drinking fresh water in My Cup, I also like homemade fruit-infused water (Tip #30) and this healthy lemon-water concoction that tastes like lemonade. All it is is organic lemon juice and liquid stevia (you can find at most health food stores). If you get bored just drinking H20 give either of these a try. Here is My Cup…along with Camden’s My Cup. I’m wearing a stack of rose, gold, silver and Tri-Color Count Me Healthy Bracelets.